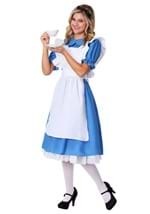 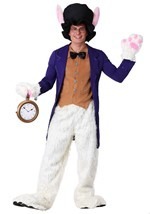 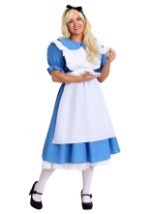 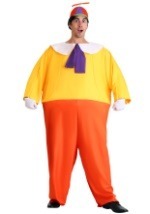 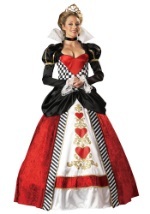 In this exclusive Mad Hatter Deluxe Plus Size Costume, you'll be ready to serve tea this Halloween season. 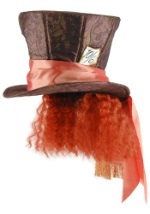 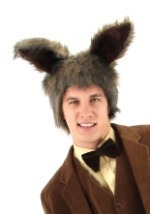 This costume includes a foam and polyester blend top hat that has a matching dark green velvet exterior. 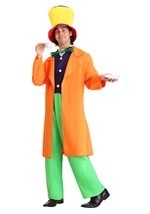 The vest has a velcro closure at the back of neck and ties at the back of the waist. 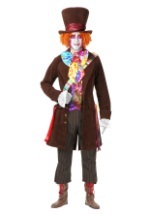 It's made out of a soft orange, red and brown paisley-patterned velour and features orange satin on the vest's lapel and interior. 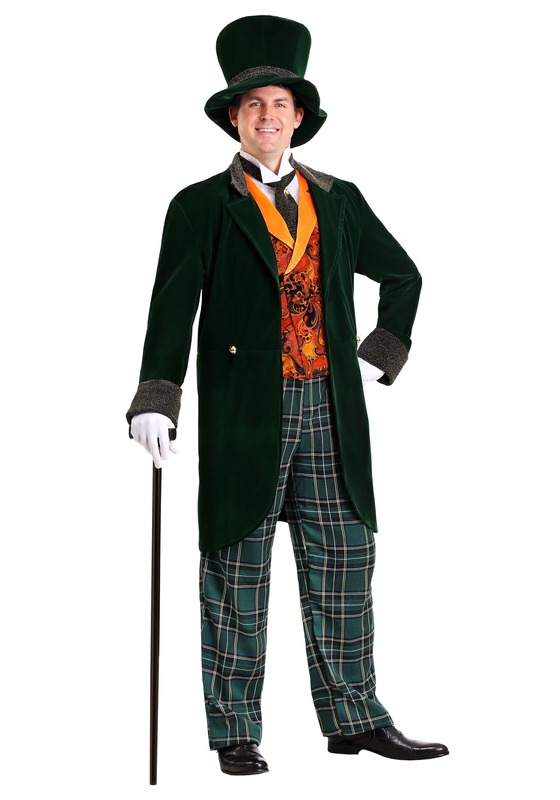 The dark green, velvet jacket has gold buttons down the front and the collar and cuffs are lined with a black polyester material with gold thread woven in to give the costume added detail. 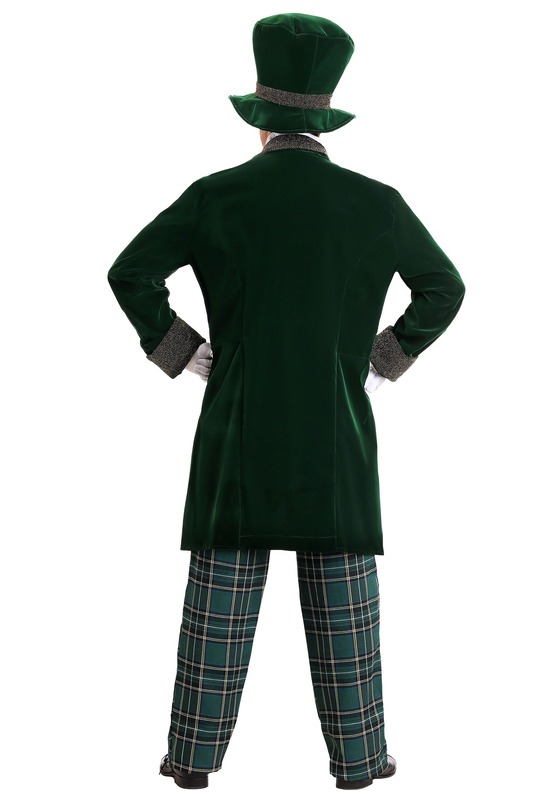 The woven, plaid pants have an elastic waist for a comfortable fit. 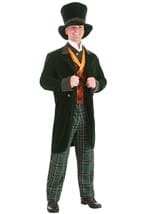 A black polyester ascot with a gold button pin and ivory-colored shirt front are included with this authentic costume. 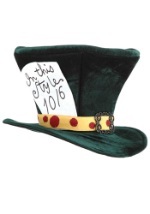 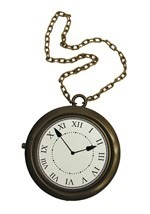 Check out our Alice in Wonderland accessories to add even more madness for an excellent Mad Hatter look.